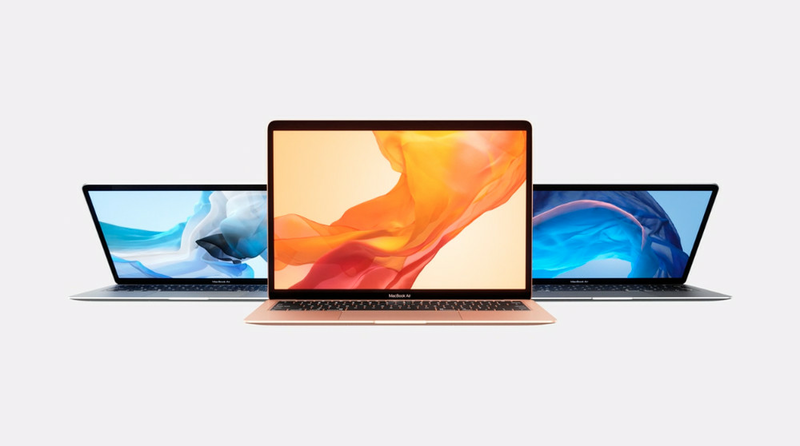 Apple has brought the MacBook Air back to life today, announcing the first proper refresh of its super thin laptop line in three years today. The MacBook Air, which last year saw a minor graphics and CPU upgrade, has after it’s original launch in 2015. As Apple’s only laptop at the $1,000 price point. The new MacBook Air comes with Touch ID for secure login, powered by the same T2 chip in the last year’s MacBook Pro and iMac Pro models. But it does not, however, have the Touch Bar. The device is essentially a modern MacBook Pro in the standard Air design. It has the same third-generation laptop keyboard with the butterfly mechanism. The machine ships with 8th Gen Intel dual-core CPU with integrated graphics, up to 16GB of RAM, and up to a 1.5TB SSD. You can also use one of two USB-C / Thunderbolt to power an external 5K display or hook up an eGPU external graphics enclosure. The base model — containing 8GB RAM, a 1.6GHz Core 15, and a 128GB SSD — is on sale starting today for $1,199. The new Mac is made completely from recycled aluminum.